The Paris based Organisation for Economic Co-operation and Development (OECD) released their newest quarterly outlook, and did so in a few packages. The first one, Handout For The Press with Summary contains a positive outlook highlighting growth. The industry packages wasn’t so optimistic, instead saying things like Canada’s housing market is “threatening the financial industry.” Since most outlets already covered the press packet, I guess we’ll be the bearers of bad news and dig into the industry versions. According to the OECD, Canada’s housing market threatens the economy, and 2017 is going to be a terrible time for the average household. They definitely didn’t sugar coat the housing situation in Canada. 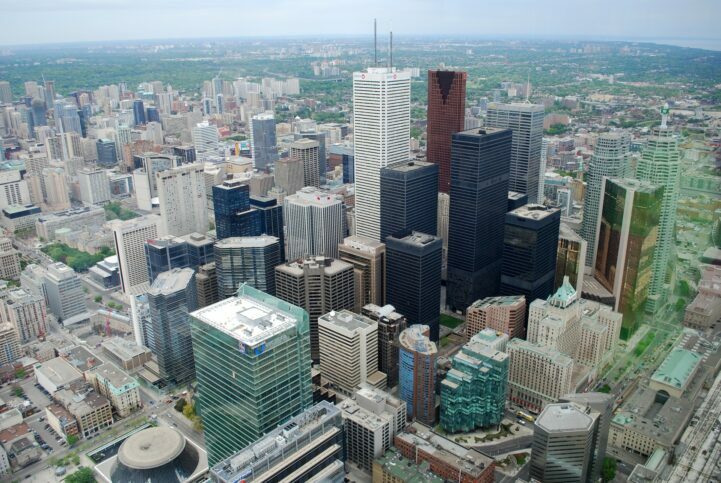 The report explained that we should expect a “disorderly housing market correction.” They go on to say that this is due to the “notably over-valued Vancouver and Toronto markets,” which they estimate to be a third of the national market. They then went on to explain how it “threatens the financial stability” of Canada. My editor always says a chart needs an explanation, you can’t just say “look at it.” Apparently the OECD feels a different way. They basically made the statements in the last paragraph with few qualifying statements. 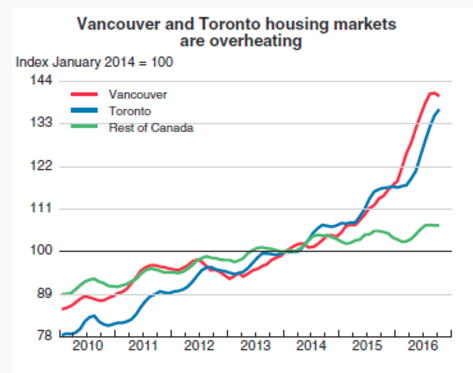 Then just showed a chart called Vancouver and Toronto Housing Markets Are Overheating. Subtle. 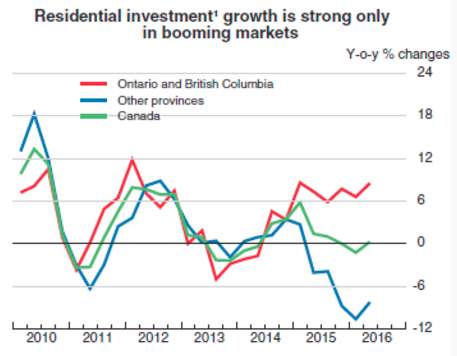 Residential investment growth in Canada continues to stagnate, but that’s only half the story. The OECD divides the Canadian economy into two categories – BC and Ontario, and “the rest of Canada.” The former is seeing investment growth of around 8.5%, which is very robust. Unfortunately, the rest of Canada saw a growth of -8.28%. Now that mortgage interest rates are on the rise, it’ll be interesting to see if BC and Ontario households can continue to grow, or if interest in those expensive homes kill any free capital flow. OECD is also worried about the economy and mounting household debt. While they did note that Canada has stable growth, it’s projected to see the third slowest growth in the G20. In their opinion, this creates a greater concern when paired with massive household debt. You’re likely aware that Canada has the highest household debt in the G7, with most of it mortgage based. Well, the big concern expressed is any rise in unemployment or mortgage interest rates could result in strained households unable to pay their mortgages. Since rates are already rising, and Finance Minister Charles Sousa said they would over the next few years – we should probably take that one seriously. Everyone from chicken farmers to China’s state media have been warning Canadians of these issues, so it shouldn’t be a big surprise. Although some people need to hear it from a big multi-national organization before they listen. Still convinced Toronto and Vancouver are the next Manhattans? Good for you, I respect your enthusiasm. Disorderly will be an understatement. They’re Canadians, it’ll be really orderly. 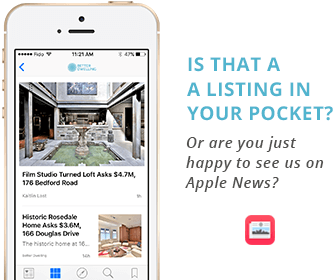 They’ll line up and say thanks for the homes being depreciated. Interest rates have gone up… more like inched up. All major economies are struggling so interest rates will remain at record lows here and abroad for many years to come. Therefore, it would take a hit to the job market that would cause a crash or correction. That could happen. Ultra low interest rates have the unintended consequence of out of control inflation. Either inflation goes up, or currency continues to get devalued. In the latter scenario, all Canadians pay for the minority of homeowners that purchased at the top of the market. The ‘rest of Canada’ means Alberta which has taken huge hits to the economy because of the NDP. So the comparison to Vancouver and Toronto is really no comparison.